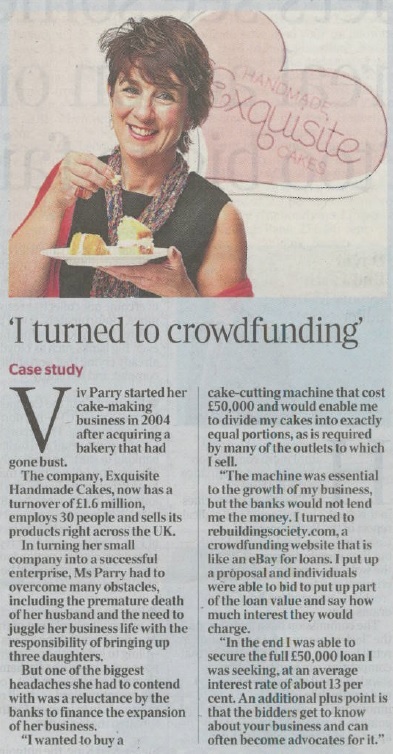 One of rebuildingsociety.com’s borrowers, Exquisite Handmade Cakes Ltd, told its story in The Times’ Money section on Saturday 22 June. This is exactly the sort of story we want to tell on behalf of our borrowers. We’ll be staying in touch with Exquisite Handmade Cakes Ltd to see if the positive exposure has created a positive impact on the business.